I posted before about my ETSY shop, Peacock Mercantiles: vintage finds and handmade artistic wares. 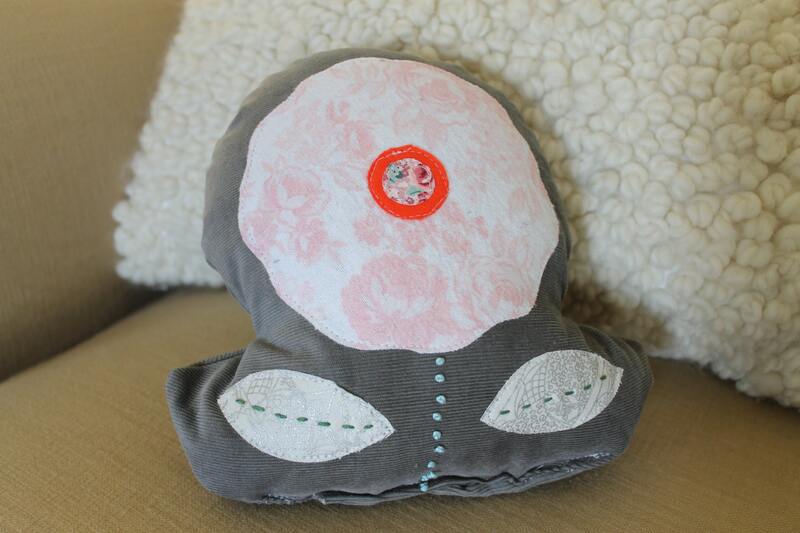 I've added a new item in the Peacock Baby section, Flower Stuffies. A mix between a stuffed toy and decorative pillow, these stuffies are perfect for little kid hands. 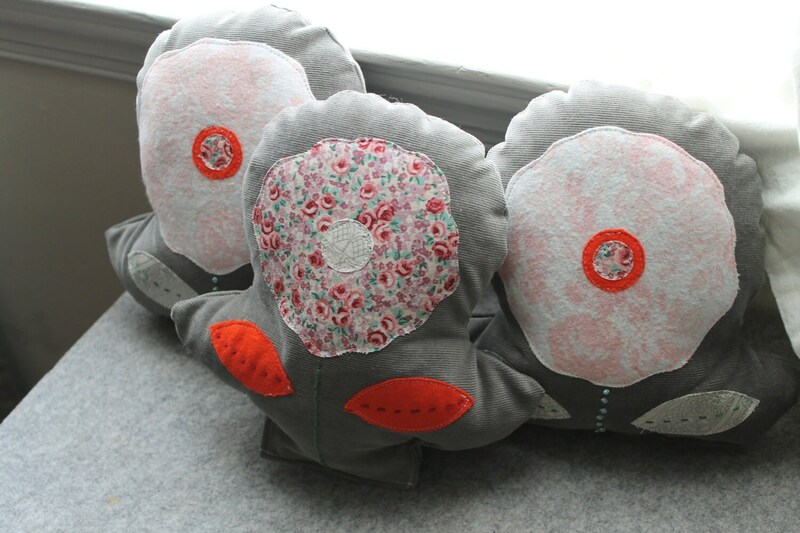 A simple organic flower shape adorns these flower stuffies. 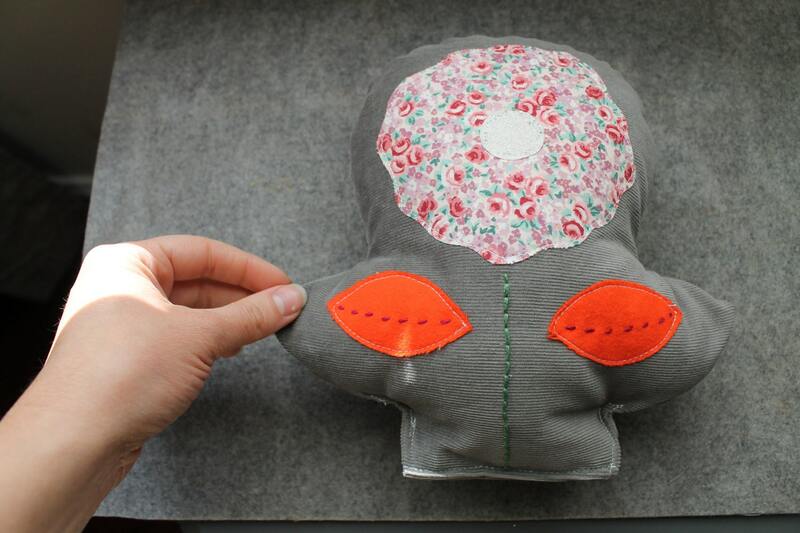 The flower itself is hand cut and fused with a lightweight iron on adhesive then machine sewn for durability. The current design uses a mix of pink floral fabrics with fire engine red and silver accents all on a soft grey corduroy. A hand embroidered stem and leaf details are the final touches.